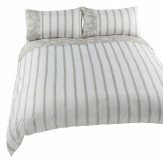 A lovely collection of beautiful duvet covers, throws and cushions with a light, natural feel. This collection is in three colourways- denim blue, lavender and natural cream. Perfect for creating a country look in your home and co-ordinates beautifully with the Henley wallpaper collection. There are several versions of the Wallpaperdirect website. This is the US site. If you'd prefer to use our International site follow the link below.